On Fenkell Street on Detroit’s northwest side, in the open expanse of residential abandonment and corporate disinvestment, the Brightmoor Artisans Collective (BAC) protrudes from the landscape of gas station, car wash and liquor store like a vibrant bloom pushing its way through the cracked sidewalk, a salient reminder that life and beauty find a way. Positioned within roughly 4 square miles of one of Detroit’s poorest neighborhoods, the BAC is an identifying hub of resilience and hope, a space belonging to and shaped by the community, empowering them as neighbors, artists and farmers. Farmer isn’t a term one would expect to hear a stone’s throw from Telegraph Road and the I-96 Freeway. Yet, as in many other marginalized Detroit communities, urban agriculture has taken root here, neighbors cultivating the joy of gardening into a response to serious community challenges: blight, poverty, crime and a lack of local, healthy food options. 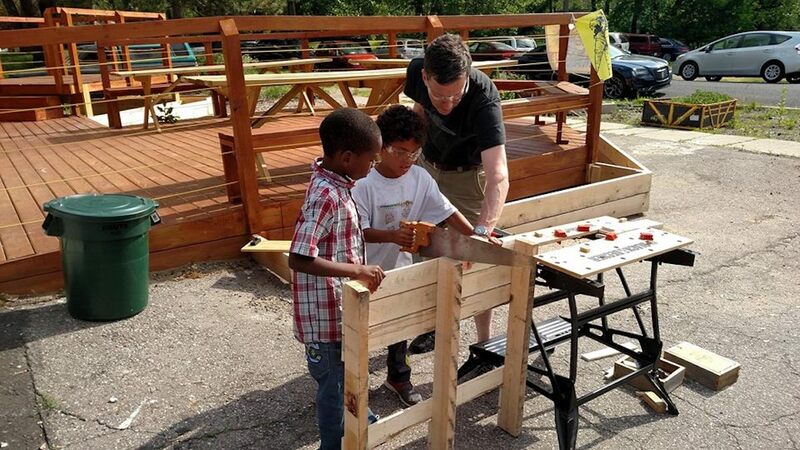 The Brightmoor Artisans began in 2014 as an offshoot of the neighborhood nonprofit, Neighbors Building Brightmoor (NBB). The collective artisan space opened in 2015 and was designed as a response to the community’s surplus of freshly grown produce with the intention of “creating and maintaining a safe space where community members could creatively work and learn together to process, market, and consume affordable, healthy food.” Hundreds of gardens, some rising to the category of small farm, have populated this near “food desert” as part of a movement which began in 2006 with one single garden. 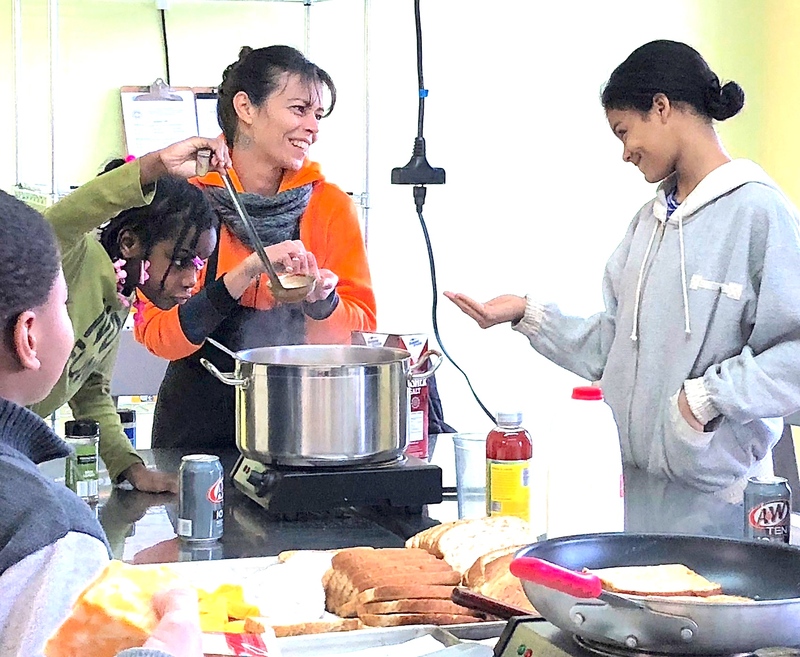 The Brightmoor Youth Garden, led by Riet Schumack, and neighbors Carole Hawke, Sheila Hoerauf and their families, was created to combat the trash dumping, gang presence, drug trafficking and prostitution that had ravaged the Detroit neighborhood. Schumack’s love of gardening and desire to create a safe and nurturing space for children in the community while living as their neighbor, compelled her and her husband Mark to move from their comfortable home in a well established neighborhood to a house on Greyfield Street just south of where the BAC now stands. Hawke and others soon followed with similar desires to live intentionally with others, to transform blight into beauty, to use vacant space for urban homesteading, and to care for and empower neighborhood youth. The kids cleared debris, prepared garden beds, weeded, harvested, weighed vegetables and brought them to market where they earned money for their hard work. They took care of goats and chickens, animals they may have never otherwise interacted with. Youth participants captured in the OWN film said they were no longer scared to walk down the street, that the neighborhood was more peaceful and that they now felt a connection between people living there. The original Brightmoor Youth Garden brought neighbors out of their houses into green spaces, planting seeds of hope and vision, and igniting a movement that now encompasses six and a half acres of local farms and gardens. In this way, visual art began to have a strong presence in the neighborhood from the donated talents of local artists to those of community volunteers. The slogan, “Be the Change You Want to See in the World,” began to show up on multiple sealed up properties along with other colorfully painted messages of hope. As a larger art project, NBB removed the sides off an abandoned and dilapidated house, leaving only its roof and frame, while vibrantly painting its insides to create a neighborhood stage for community events such as the Fall Harvest Festival, still in use today. Bradd, who is often picking up and dropping off neighborhood kids to remove barriers to having them at BAC activities, also believes that youth play a vital role in restoring communities. “You see the change that can happen even with parents just by having their kids involved in something in the community,” she says. The Artisans Collective, which Bradd oversees, is a unique space: part community center, part kitchen and food processing facility. The program activities are all inclusive to the youth in the neighborhood. Respecting and investing in the children here continues to be an important goal for this community. From book clubs to cooking classes, dance and yoga classes, to homework help, and computer and artisan workshops, activities are open, free, and mainly intergenerational. The health and creation space and kitchen classroom are available for private rental as well but Bradd says the rule is, “If you don’t charge our neighbors, we won’t charge you.” Free cooking classes are taught by farmers and kitchen renters, neighbors, and partners like Motown Meals, who teach a weekly class as well as prepare a community meal free to residents one Sunday a month. The kitchen and processing area in the collective is a rentable space and a main focus in supporting the farming and gardening community here. Bradd says that as the neighborhood began to stabilize and residents switched away from survival mode, NBB started to ask themselves what was next. This question led to the formation of the Brightmoor Artisans Collective, who envisioned a space in which to connect and support the community as it sought to strengthen its own livelihood. The collective’s kitchen and food processing spaces were created to further increase the economic capacity of local farmers and food entrepreneurs. Bradd purchased her own extensive lot on the same foreclosure auction that the Brightmoor Artisans bought their triple storefront collective. In addition to running the BAC, she now lives in her tiny house while restoring the residential home on the property and working the adjacent Graydale Farms, an acre sized vegetable farm which donates all of its produce to supply the BAC cooking classes. The largest farm in the Brightmoor community is Beaverland Farms, a 2 acre homestead and for-profit fruit and vegetable market farm. The rest vary in size down to small front yard or side lot family gardens. Since Shumack’s retirement from the BYG, Bill and Billie Hickey lead the Youth Grow Brightmoor garden on the lots behind their house. 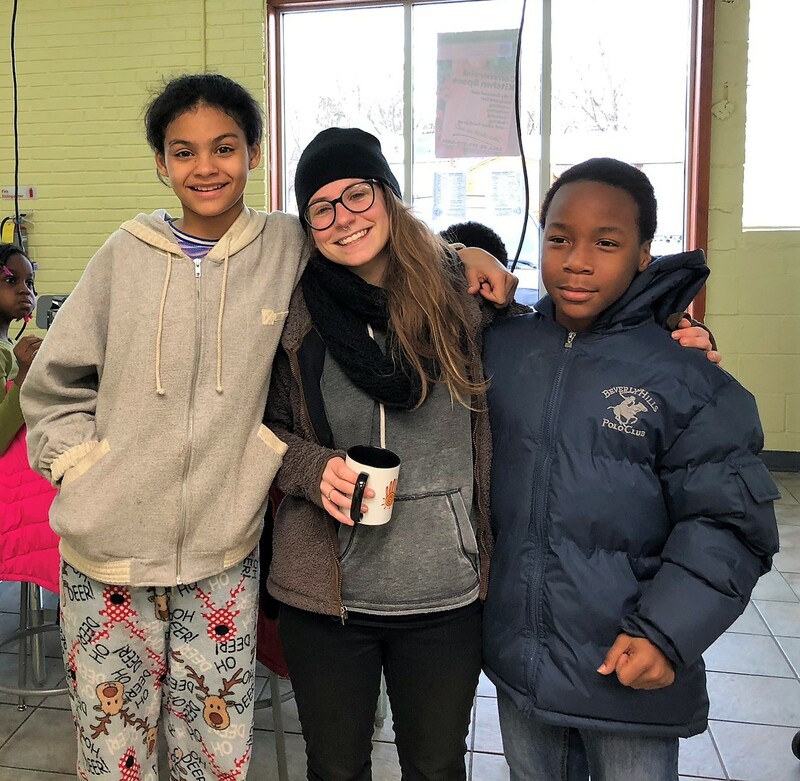 They currently work with 8-12 neighborhood youth ranging from ages 7-17 that grow and sell their produce at the Fenkell market in the parking lot of the BAC as well as at Eastern Market. Billie Hickey says the kids sold over $1400 worth of produce last season, each receiving profit based on their individual hours of participation. The Hickeys say they went from living in a big Detroit house with a small lot to a small house with a large space for gardening so that they could live more sustainably and more connected with their neighbors. Billie Hickey says the challenges of living in Brightmoor have been sharing in the lives of neighbors, including youth, who struggle with so many issues related to poverty — low-paying jobs, lack of transportation, home foreclosures and discrimination. Bradd says the amount of red tape that exists in selling food products results in many people who are without support unable to do so. She says the BAC aims to help remove these barriers by providing temperature regulated storage, affordable processing space, and help with licensing. “A lot of people here have time and not money,” she continues. “Our membership is $45 a year or four and a half hours of pre-approved service tasks. When you’re a member, you can enroll in our work trade program.” She explains that in the program, every hour of service earns $10 of credit that can be used toward toward kitchen rentals, market vendor fees, or to make purchases at the attached cafe. They can use it for business, for sales, or for food. The Artisans Cafe is the latest piece to the collective and will have a soft opening later this month and a grand opening at the first market in June. While providing healthy and affordable food and drink, its focus is on educational opportunity for youth ages 13-24 who are part of the Youth Entrepreneurship Program. Through the program, teens receive hands-on work experience as they work part-time in the cafe, plan and prepare the menus, attend field trips and weekly workshops, and receive a stipend and tips for their cafe hours. On completion of the one year and nine month program, the BAC hopes to have equipped youth with everything they need to know to start their own food business — culinary skills, business basics, financial literacy, garden skills, and community engagement. The final level prepares youth to be able to teach and transfer knowledge by bringing them into the classroom to teach new students what they have learned. Bradd says that regardless of whether or not participants open their own food business, the skills taught in this program will transfer into many successful job situations. Additional neighborhood alliances and dedicated faith communities are working for and calling others into action over the Brightmoor neighborhood. Yet, the changemakers in Brightmoor know nothing will be coming easy to this Detroit community. As the collective neighborhoods continue to fight issues of poverty and abandonment, each neighbor, each community investor makes a vital difference. Just as Riet Schumack could not have known the sprouting effects one garden could have, we are hopefully yet to see the extent of how this community, devoted to its land and its youth, may continue to grow and flourish.